The Cyprus Tourism Organisation (CTO), which organises and promotes tourism within the Republic of Cyprus, expects a significant influx of visitors from across the Gulf Cooperation Council (GCC) this Eid Al Adha, on the back of significant growth in arrivals from the region during the first six months of the year. Figures released by the Ministry of Finance reveal that visitor arrivals from the GCC increased by 23.3 per cent between January and June 2017, compared to the same period in 2016. The visitor increases were largely driven by travellers from the United Arab Emirates, which contributed more than half of all GCC visitors during the six-month period. In June alone, Cyprus saw a 72.8 per cent year-on-year increase in visitor arrivals from the UAE. Overall visitors to Cyprus for the first half of this year reached 1,463,206, an increase of 16.6 per cent when compared to the same period in 2016. Commenting on the results, the CTO’s acting director general, Marinos Menelaou, said, “Cyprus continues to provide a wealth of tourism experiences for visitors, offering a diverse history and culture that attracts increasing numbers of visitors on an annual basis. Our half-year results are encouraging for the year ahead, with arrivals in June tallying as the highest ever recorded during the sixth month of the year,” he added. Favoured for its moderate temperatures of around 30°C, idyllic island life and fresh cuisine, Cyprus attracts thousands of visitors from the GCC all year-round. Selected as the 2017 European Capital of Culture, the south-west coastal city of Pafos hosts a number of events throughout the summer months. 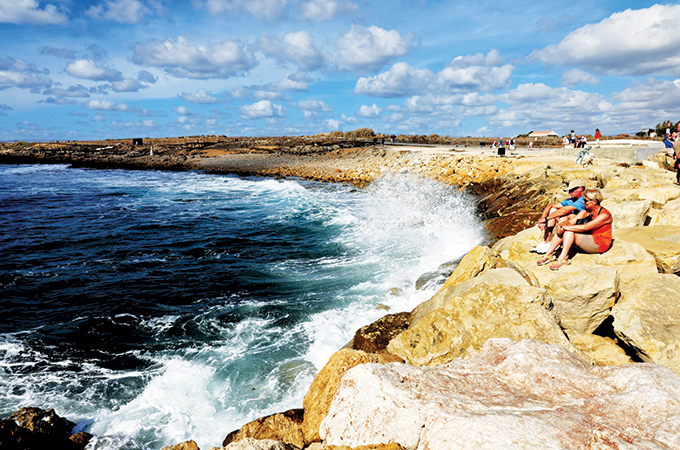 “Pafos delivers an exciting experience at every turn, from Unesco World Heritage sites, mythical stories, picturesque views across the Mediterranean, and quaint cafés amidst its buzzing old port. With the additional events and cultural activities planned this year, there is even more reason to visit the ancient city,” Menelaou added. Pafos is situated a scenic 1.5 hour drive from Larnaca International Airport, with direct flights operated with Emirates Airlines from Dubai, Gulf Air from Bahrain and Qatar Airways from Doha.